Home Blogs Axion: Are biodegradable plastics better for the environment? Axion: Are biodegradable plastics better for the environment? Plastics are indispensable in many areas of our modern lives, yet questions over the material’s sustainability are rarely out of the headlines these days. Are biodegradable, compostable and bio-plastics really a better environmental solution? Richard McKinlay, Head of Circular Economy at resource recovery specialist Axion, offers his opinion. Plastic materials that at end of life can completely break down naturally and disappear harmlessly may sound like the ideal answer. People hear terms such as ‘biodegradable’, ‘bio-plastic’ and ‘compostable’ and assume that these plastics are more ‘environmentally-friendly’. However, the reality is not so simple. 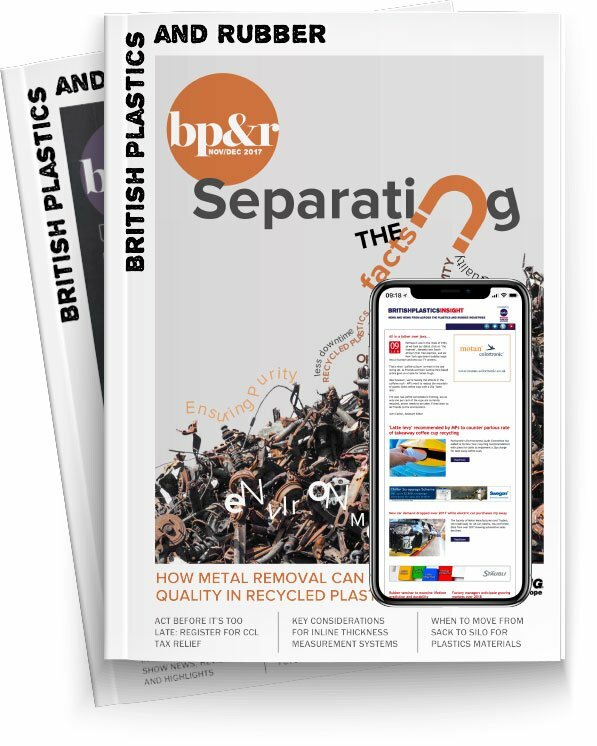 The main issue here is a lack of understanding of the nature of compostable or biodegradable plastics and what bio-plastics are; their specific applications and the specialist treatment process needed to deal with these materials. Bioplastics are made using renewable feedstocks rather than being derived directly from oil. Bioplastics can be used in the production of conventional polymers that can be recycled, such as recycled PET, or biodegradable polymers such as PLA. It may seem obvious that selecting a bioplastic is the most sustainable option. However, although there is a clear benefit from not depleting a non-renewable source, we need to consider that many petrochemicals are a by-product of the oil refining process. While we still live in an economy that is so heavily reliant on oil, it may be better to make use of its by-products rather than let them go to waste. Bio-plastics are not free of environmental impact, and the carbon emissions associated with growing crops and converting these into the required chemicals needs to be taken into account. “Compostable” and “biodegradable” are more or less synonymous terms and mean that the material will completely break down under certain conditions. The key to understanding any potential benefit is to know whether the polymer will easily break down, say in your home compost, or if it has to be treated in an industrial composting facility. Many plastics that are described as biodegradable or compostable have to be collected and separated from the rest of the plastic waste and be sent to a purpose-designed industrial composting facility where they can be broken down successfully. These facilities exist for food waste, but ensuring compostable packaging reaches them can be challenging. Consumer confusion over what materials can and can’t be recycled is another big issue. Is this plastic water bottle made from a biodegradable plastic or ‘conventional’ plastic, like PET? Does it go in the recycling bin or with the food waste collection? Currently, throughout the UK there is a good collection and recycling infrastructure for PET bottles and this can be accessed by most people through council kerbside collections. The infrastructure for food waste collections is not as well-established, especially for ‘on-the-go’ collections. So for water bottles made from biodegradable plastic to be correctly recycled, a public communication campaign would be required so that people understand that biodegradable plastic should go in with food waste and more food waste collection facilities in public places would be needed. Some packaging such as that made from starch, will readily breakdown in a less controlled environment. However it is not possible to switch completely to these type of materials because they are not suitable for all applications. For example, kitchen/food recycling caddy liners are starch-based and will degrade in a home composting system. However this material would not be suitable for use in packaging as it would quickly start to break down when wet. It’s important for brand owners, food producers and manufacturers to consider very carefully what packaging format they use and to make an informed decision based on the reality of our current waste management infrastructure and level of public understanding. Ensuring that products are ‘designed for recycling’ is essential if we are to recover more of our resources. They also need to understand what actually happens to their materials at end-of-life and what their environmental impact could be. What is described as ‘compostable’ doesn’t mean it will just break down at the side of the road. Marine litter is a huge concern, but only two per cent of plastic waste in the oceans is estimated to come from the whole of Europe and the US combined. Using plastic bottles in the UK is a perfectly responsible packaging system because 99 per cent of householders can put their plastic bottles in their household recycling collection bins. Attention has to be turned to ‘on-the-go’ waste and littering. Levels of marine plastic could be reduced by improving ‘on-the-go’ waste provision and anti-littering public information campaigns. Better infrastructure is needed in public places to allow people to recycle when out and about. This is happening with more recycling points at places like train stations, airports and town centres. But people have to use them, understand them and know why it matters. So are biodegradable plastics better for the environment? It’s a massive challenge and, as we’ve argued, it’s also complicated. Ultimately it has to be down to infrastructure investment, public education and behavioural changes. Plastics are an inherent part of our lives and not ‘all bad’. Their responsible use and disposal/recycling should be a top priority! Completely break down into what? No one ever talks about what biodegradeable or compostable plastics break down into. My understanding is that they break down into tiny pieces of plastic - microplastics. Once the general public discover that the biodegradeable packaging they are diligently composting is actually designed to generate microplastics under an accelerated process, it will only result in another PR disaster for the plastics industry.